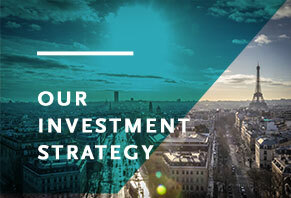 France has a wealth of robust SME and midcap companies ready to move up into new phases of growth; this is why we have built our investment strategy to match their needs as closely as possible. We accompany French companies in their buyout and build-up strategies. The companies we choose to accompany generate revenue in excess of €40 M.
We take majority shareholdings, investing over €10 M; with an average investment around €20 to 25 M.
Today we are acknowledged by professionals in these sectors for our capacity to accompany their development. potential to consolidate on a fragmented market. To feed growth and value creation, we encourage our portfolio companies in build-up strategies, international development and transformation to the digital economy.